At least 100 Coptic Christian families and 200 Coptic Christian academic students have been forced to flee from El-Arish, the capital city of Egypt’s North Sinai governate, after being threatened by the Sinai terror group called Ansar Bayt al-Maqdis (ABM – Ansar Jerusalem – Champions of Jerusalem), which changed its name to Al Wilayat Sinai (Province of Sinai) when it changed its allegiance in 2015 from al-Qaeda to the so-called Islamic State (IS or ISIS or ISIL or Daesh). 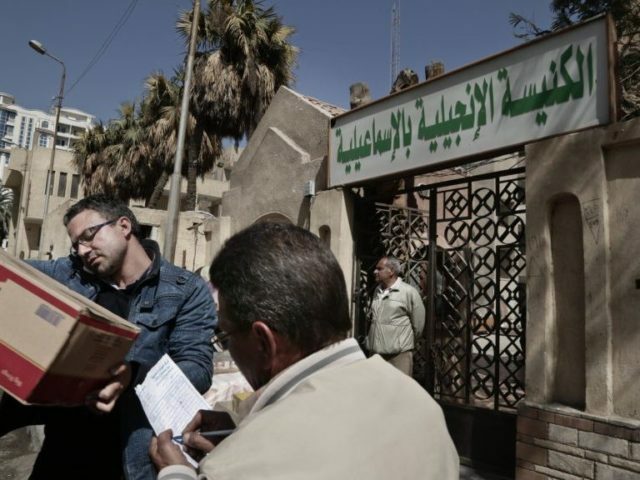 The hundreds of Copts left their homes for the Suez Canal city of Ismailia, 125 miles west, where they were received by a Protestant Church, the Evangelical Church of Ismailia. This comes after seven Coptic Christians were killed this month ABM militants, including one who was burned alive. The killings occurred after ISIS on February 19 released a video calling Copts “our priority and our preferred prey.” According to reports, ABM has “kill lists” that include the names of at least 40 Copts living in Sinai.